Wabash Riverkeeper Dr. Rae Schnapp is investigating a fuel spill from a pipeline owned by Marathon Pipe Line LLC crossing Big Creek near Solitude, Indiana. Marathon was first alerted to a breach in their Mount Vernon diesel pipeline Tuesday evening around 6:30 p.m. and crews responded to shut off the pipeline and set up boom sites to try to trap the fuel, according to the local Sheriff, Greg Oeth. Marathon reports that approximately 42,000 gallons (or 1,000 barrels) of fuel entered Big Creek, which is a tributary of the Wabash River. The Indiana Department of Environmental Management has been the agency on the scene working on containment and removal. 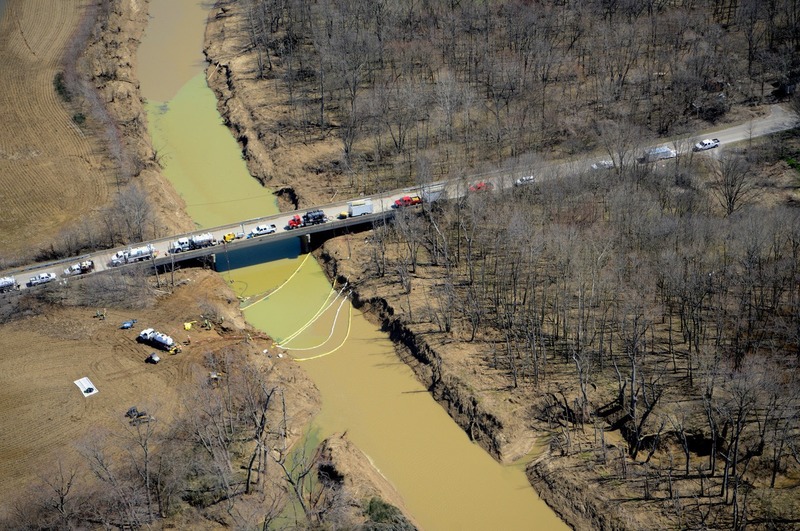 A company spokesman assured that the spill never reached the Wabash River. 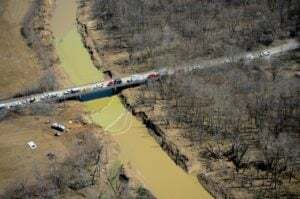 According to the Pipeline and Hazardous Material Safety Administration, since 2006, Marathon has been responsible for 124 incidents, causing one fatality and three injuries, incurring over $96 million in property damage, and spilling over 20,000 barrels of fuel. These incidents include a 2011 spill of 378,000 gallons of gasoline, which registered as one of the twenty largest onshore oil and gas spills in the U.S. between 2010 and 2017. For more information about Marathon’s long history of spills, injuries and property damage, please see this Pipeline and Hazardous Material Safety Administration dataset. For information on the aquatic impacts of fuel spills, contact Marisol Sepulveda, Ecotoxicologist for Purdue University, at 765-496-3428.